Dr. John Meis: News alert: NASA is cutting costs. Astronauts no longer to get oxygen. Dr. John Meis: Well, the two things that are kind of expensive are bonding agents and impression materials. You can imagine what would happen to a practice’s productive capacity if they don’t have those two items. So this person, well-meaning, didn’t order those things and when they didn’t, she was actually kind of confused, and I was confused with her strategy, right? Dr. John Meis: The strategy really doesn’t make sense, but you can see where she got there. So, let’s think about cost in a new way. Let’s think about a cost as being dynamic costs, or static costs. Static costs are the costs that are the same, no matter how much you produce. Dynamic costs affect, directly, the productivity capacity of an office, right? So this is fixed cost, variable cost, but a little bit different. So the dynamic costs, you have to be very, very cautious is cutting anything there. If you can negotiate better supply rates, well that’s one way you can reduce the cost. But, it’s very difficult to affect dynamic cost, and it can have really dramatically negative impact on a practice if you miss a step, all right? 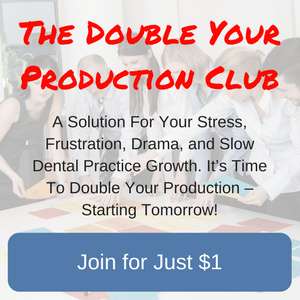 Dr. John Meis: So one group that I work with, they had a marketing strategy that they were going to take every practice that they acquired, and they were going to arbitrarily change their marketing spend to a fixed percentage. All right? Because it works in some offices, it should work in all their offices. So they arbitrarily set it at 4% but there are practices that really need the new patient flow to feed the engine, right? And so when the marketing costs went down, the new patient flow’s went down. When the new patient flows went down, the productivity went down, and the profitability tanked. Okay? A great example of a dynamic cost that was adjusted for really, really bad experience. Dr. John Meis: So here’s the lesson. Static costs go ahead and cut them, every little bit that you can. Do that first, right? Dynamic costs, leave be unless you see places where there’s just super opportunity. Places like waste, you know? Eliminating waste, eliminating the number of brands of things. Those two things can reduce expense dramatically. But if you want to improve profitability it’s all about productivity, right? It’s much easier to drive up revenue than it is to drive down costs. So if you are struggling, cut static costs, think about being a little more judicious on the dynamic costs. But drive up revenue, and that’s the way to get costs under control. Dr. John Meis: So for everybody who’s seeing the Dr. John Meis show, I want you to go ahead and put comments and questions, and we’ll get to those when we do the mailbox. 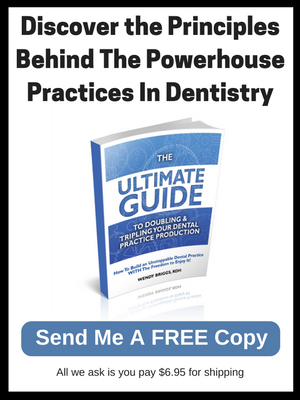 You can also go to our website and receive a free copy of our Amazon number one bestselling book, The Ultimate Guide to Doubling and Tripling Your Dental Practice Production. 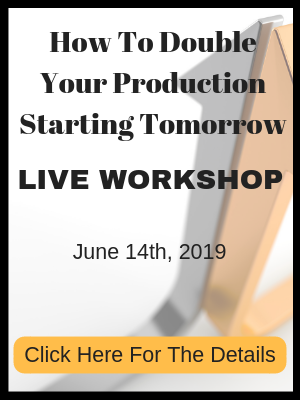 This will give you all the keys that you need to do in order to increase production so that you can increase revenue. And I promise it is so much easier than trying to cut costs. So you can just go to theteamtraininginstitute.com, and it’ll be very clear there how you can get this book for free. I’ll buy the book for you, all you’ve got to do is pay the postage. So good news is, that this is very easy to improve revenue, right? The bad news is, if we try to reduce costs it can be very tricky and can be very problematic. Dr. John Meis: So that’s it for this episode, I’ll see you the next time on the Dr. John Meis show.